Many resorts in Mexico offer promotions that allow kids to stay free in their parents' room. This can add up to big savings on a family vacation! Most kids stay free deals are for children under 12 staying with two paying adults, but there are some that you can take advantage of even if you're a single parent. If you're planning a family vacation to Mexico, be sure to take advantage of these promotions. La Colección, Grupo Posada's collection of special beach-front resorts, is offering a kids stay free deal at several of the group's family-friendly properties. Participating resorts include the Grand Fiesta Americana Los Cabos, Fiesta Americana Condesa Cancun, Fiesta Americana Puerto Vallarta, Fiesta Americana Cozumel, The Explorean Cozumel, and The Explorean Kohunlich. Check their website for the latest promotions. The Oasis Palm in Cancun is an ultra family-friendly all-inclusive resort with a surprisingly large kids' club - the resort has 50,000 square feet of dedicated kids areas! as well as a shallow beach, and plenty of amenities designed with the little ones in mind. Two kids 12 and under stay in the same room with their parents and enjoy all the included hotel amenities and meals at no extra charge. Kids under age 12 can share a room with their parents at any Brisas property at no extra charge. There is a maximum of two children per room, and they must use existing bedding only - an extra charge is applied if a rollaway is required. At Las Brisas resorts you can choose from a room-only plan, a European plan with breakfast included, or the Brisas Gourmet Plan, which is all-inclusive. There are Las Brisas properties in Acapulco, Ixtapa, Huatulco, Mexico City, Queretaro, and Manzanillo. The Iberostar chain of resorts has several properties in Cancun and the Riviera Maya, and one in Playa Mita on the Riviera Nayarit. Iberostar resorts offer all-inclusive vacations where children can live it up at the resort’s Kids' Club while their parents relax and enjoy adult activities. Check the Iberostar website for dates and details on the kids stay free promotion. At participating Holiday Inn hotels and resorts throughout Mexico, children under 19 stay free in their parent's room, and children under 12 eat for free when accompanied by their parents and ordering off the kids menu in the hotel restaurant. Dreams Resorts in Cancun, the Riviera Maya, Puerto Vallarta, Los Cabos and Huatulco offer a kids stay free promotion during the fall season. Two children 12 years of age and younger can stay for free in the same room with two paying adults. "Kids Stay Free" is valid on new reservations at select Dreams Resorts & Spas. 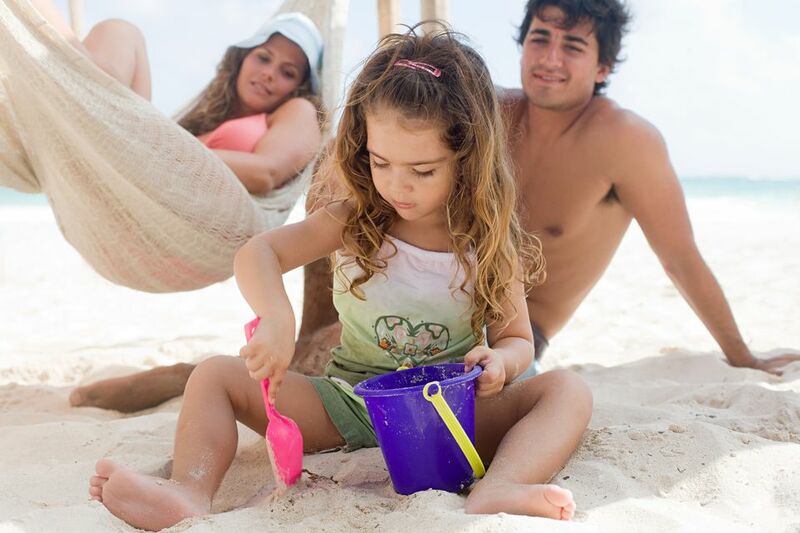 Stay at one of the Club Med resorts in Mexico and the littlest ones (under four) stay free. Children aged 4-11 stay at up to 50% off adult price and those aged 12-15 save up to 40% of adult prices. Check the website for most recent rates at Club Med Ixtapa and at Club Med Yucatan Cancun on stays of three nights or more. The kids stay free promotion at Now Resorts & Spas is valid for two children 12 years old and younger when staying in the same guestroom with 2 paying adults. Kids free is valid on all new reservations for stays at Now Amber Puerto Vallarta, Now Sapphire Riviera Cancun, Now Jade Riviera Cancun. El Cid Resorts in Mazatlán, Riviera Maya, and Cozumel offer special seasonal deals in which kids stay and eat free when sharing a room with adults in the all-inclusive plan. Plus, you'll receive resort credit and more.